Last updated 17 December 2013 . By Claire Byrne. 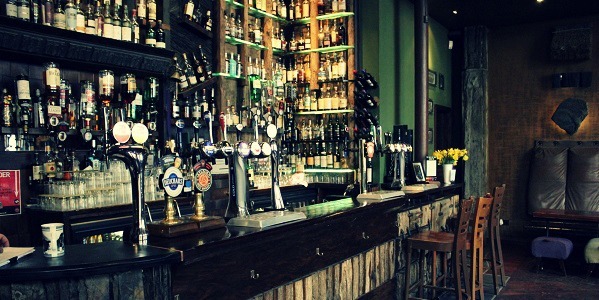 The Ben Nevis is a traditional Scottish pub on Argyle Street that's steeped in unique and traditional features, hunted down and gathered from around the highlands. 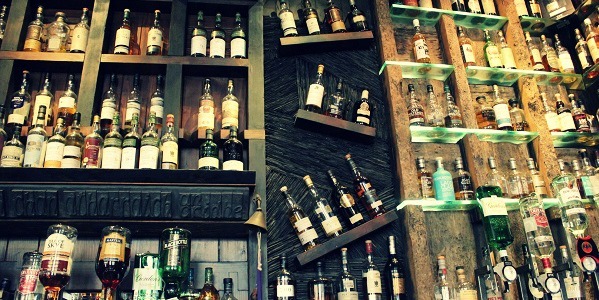 The Ben Nevis offers up a wide selection of drinks, but of course has a soft spot for whisky. Walking past this bar down the west end of Argyle Street, it looks like your average Glasgow pub, though a closer look sees Gaelic scribbling on the signage that indicate the treat in store. We popped inside for a quiet drink and were lucky enough to happen upon one of the designers of the whisky bar who treated us to a tour. Every single feature in The Ben Nevis is thought out, rope knotted into a bar has been salvaged from a fishing boat on the West Coast, Gaelic songs, poems and inscriptions are dotted about the wall, and specimen of highland flora, fauna, wood and stone adorn the walls. This place is an ode to its namesake and the country around it. 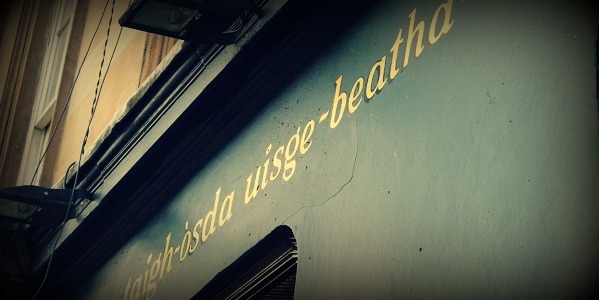 Some Gaelic scribblings outside indicate the "water of life" delights on offer inside. We called in to The Ben Nevis on a cold afternoon, looking for a cosy place for a quiet drink, and that's exactly what we got. The fire was roaring and the small bar was dotted with just a few punters, chatting and drinking. The staff here are incredibly friendly, and within minutes we were waxing away with the owner and his friend, who turned out to be the designer behind the bar's unique features. As we left we were invited back for the trad session later that evening. The Ben Nevis offers the kind of charm and friendliness you'd expect from rural pubs, much less a boozer on a busy street in Glasgow City Centre. If you're looking to show off Scotland's incredible hospitality, this is the place to take your guests. Just a sample of the whisky on offer at The Ben Nevis - these guys know what they're talking about. When it comes to drinking in The Ben Nevis, this place is all about the whisky. The staff here are extremely knowledgeable about what's on offer, and the bar even has its own online whiskey store. There's also a wide selection of other drinks if a dram doesn't take your fancy. The Ben Nevis doesn't offer eats other than basic bar snacks, but with lots of great restaurants nearby, it's in a handy location for pre or post-dinner bevvies. 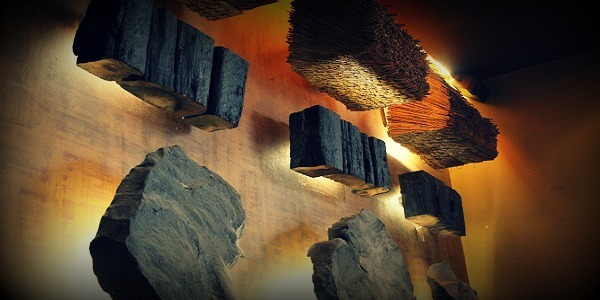 Grains, slate and sleepers - the bar is filled with extracts from the land around Scotland. The Ben Nevis is an absolute delight, whether you're from Scotland or further afield. The pub is not only one of the best whisky bars in the city, but it also offers vistors the chance to take part in a proper trad session several nights a week. Or if you're looking for something a little more cosy and quiet, grab a seat by the fire and indulge in a dram or three in a rustic setting that feels far away from the city outside. An Irish writer with a penchant for cocktails, passion for food and a love of cool bars; on the hunt for the very best in Glasgow nightlife.